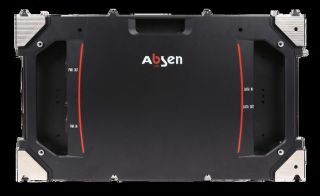 Absen announced the U.S. launch of the company’s newest fixed indoor LED series called, Acclaim. Making its official debut at WFX Conference and Expo, the Acclaim Series provides indoor direct-view LED solution for today’s markets such as retail, corporate, transportation hubs and house of worship. WFX, the largest conference and church expo in the U.S., will take place October 11-12, 2017 at the Kay Bailey Hutchison Convention Center in Dallas, TX. Available in a wide range of pixel-pitch configurations; 1.2mm, 1.5mm, 1.9mm, 2.5mm and 3.8mm, the Acclaim Series meets the needs of many indoor installations and pixel pitches. Acclaim’s HD aspect ratio and 27.5” diagonal size allows four panels to create a 55” display like that of a LCD, but without mullions. The four panels can be installed with a standard VESA mount and allows the end user to work in a standard 16:9 aspect ratio, a very common aspect ratio in the HOW market. Acclaim comes with an Easy Mount Kit that has a thickness of no more than 4 inches allowing for ADA compliant installations. Each front or rear installed panel is interchangeable left to right and are held in place by 4 corner magnets. The series offers creative flexibility and can be customized to provide up to 90-degree convex or concave curves and angles. Acclaim is built with an LED life of 100,000 operating hours and is designed for easy serviceability and repair with universal magnetic modules that lock into place with guided grooves that prevent potential bending or torqueing of the panels. The Acclaim also features innovative black masks that increase contrast, yet are simple to take off and put on to allow repair of the modules’ LEDs. With Absen Affinity color calibration, the Acclaim will continue to look uniform in color, brightness and consistency throughout the life of the product.